Divorce can be a challenging process for all parties involved. Partners can have vastly different ideas about the division of assets, child custody, support payments, and visitation rights, and difficulties may be compounded by a rocky interpersonal relationship between the divorcing couple. If divorce mediation failed to bring both parties to a successful resolution, you may want to consider arbitration to avoid a costly, stressful, and publicly documented court trial. Arbitration can also be ordered by a court, halting the trial process. Whether voluntary or ordered by the court, the process is generally the same. When you and your spouse choose arbitration for your divorce, you both agree to hire an arbitrator who functions like a private judge for your case. 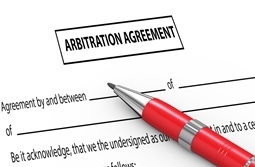 There also may be more than one arbitrator, forming an arbitration panel. Arbitrators are typically experienced in the legal field and may be lawyers or retired judges. You can find arbitrators in the phone book, via an internet search, or by asking your attorney who may be able to guide you to someone experienced in your type of case. Arbitrators tend to have more flexible schedules than trial judges and will work with you and your spouse to find a convenient time for the hearing—which is much less formal than a trial. Later, you will be billed for the arbitrator’s time. Once the hearing is scheduled, both sides will present their arguments and any evidence that supports their case. When both sides have been heard, the arbitrator will issue a decision, much like a judge makes a ruling in court. Nonbinding arbitration means that if either side objects to the rendered decision, a court trial can follow. If the arbitration is binding, then both parties have agreed to the decision of the arbitrator, and there is typically no appeals process. All decisions are final. There are a few good reasons to choose arbitration over either mediation or the regular court system, including reduced cost. Though arbitration isn’t cheap, it can cost significantly less than a court trial. Often, it can be scheduled faster than a court case, too, as the arbitrator is likely to have a far more flexible calendar than a judge. The evidentiary rules are more relaxed, and the hearing is overall less formal than a visit to a judge, which can help speed up the process. And, unlike a court case, arbitration records are private, which can save you from the embarrassment of having your private life made public. Greater privacy and speed can prevent children from having to deal with the emotional turmoil and stress of a protracted court battle, too. If you’ve already tried mediation but couldn’t come to a mutually agreeable decision, or if you believe that mediation won’t work because your relationship with your spouse has become adversarial, arbitration may be the option you want. Arbitration does not require the services of an attorney, but it can be helpful to have somebody who is knowledgeable and experienced assist you, especially if large assets are at stake. The attorneys at the Law Offices of Molly B. Kenny know that going through a divorce is a sensitive time and can leave you feeling vulnerable and emotionally exhausted. Whether you need help filing your divorce paperwork, preparing for your arbitration, or any other part of the divorce process, we’re here when you need us. Contact us at (425) 460-0550 to discuss your specific situation.